CEO Carl Manneh expects Realms to, "bring in more money than Minecraft itself"
Mojang is seeking further growth through a new service called Minecraft Realms, which will give its eventual subscribers control of their own slice of the Minecraft universe. 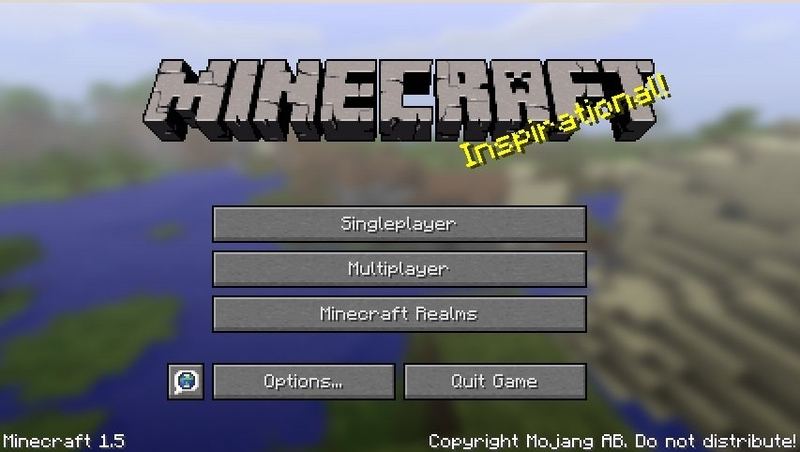 According to information passed to GamesIndustry International by Thomas Arnroth, a Swedish author and journalist working for it24, Minecraft Realms was conceived as a response to enquiries from parents about a simple and secure way to allow their children to play online. There are already several companies offering Minecraft servers, but they principally target the core audience and the mod community. With core gamers already satisfied, Mojang CEO Carl Manneh said, Realms will satisfy the needs of its remaining audience while tapping into a new market that could prove highly lucrative in the future. "We have never tried to sell anything except the game and a little merchandise. It'll be very interesting to see if the community will be prepared to pay for this service"
"Our costumers [for Realms] are parents who are tired of trying to act as server administrators on behalf of their kids," said Manneh. "Minecraft Realms will be a simpler kind of service, aimed at families and kids. In the future we aim to offer certain profiles with mods that are certified to work without crashing, but this will still be a safe and easy way for kids and families to play Minecraft online." Subscribers will be given their own self-contained world, with full control over who has access and their friends list. Only one person per world will need a Realms account, and anyone invited to join will need a copy of Minecraft and an internet connection. The price of the subscription has not been set, but Mojang has indicated that it will be between $10 and $15 a month. It also intends to issue special pre-paid cards for those with no access to credit cards. Ultimately, Manneh believes that Realms has the potential to open up Minecraft to new players, and, in the long-term, become as strong a source of revenue as Minecraft itself. "In the end I think this will get Minecraft new players, since there is a viral aspect of Realms. Kids will probably invite friends who don't have Minecraft yet to play with them," he said. "All we know is that there has been a great demand for this service. We have never tried to sell anything to our gamers except the game itself and a little merchandise, so it'll be very interesting to see if the community will be prepared to pay for a service like this. "But since we have about 10 million paying PC gamers and, soon, as many mobile gamers, there's definitely potential. And yes, if we look ahead, I do think [Realms will] be the biggest source of income in the future, and to bring in more money in total than the game itself." If Realms is as successful as Manneh hopes, and its subscribers are interested in the concept, Mojang will consider creating portals between the different user worlds. "Then really Minecraft would become a huge MMO, a really vast universe consisting of very many small worlds," he said. "That's kind of a dream we've had for a while." The PC version of Minecraft Realms is in private alpha, with a "hopeful" beta launch planned for May. When Arnorth suggested that Mojang would need in the region of 100,000 servers to satisfy demand, Daniel Frisk, the company's chief architect, replied, "Oh, we believe many more than that." A version of Realms for Minecraft Pocket Edition is also in development. It is currently some way behind its PC counterpart, but Mojang believes the relative simplicity of the task will result in both versions entering beta at the same time. On PC, Realms will be hosted by Multiplay. On mobile, it will be hosted by Amazon. Thomas Arnorth is a contributor to the Swedish website it24. He is the author of a book, already published in Sweden, about Mojang's emergence as a major force in game development. IMO, I think it needs to be $5-10, not $10-15. Also, would be pretty cool for an "MMO" mode to be added, where you could perhaps see each person's realm as a region of land on a larger planet, where it's visibly laid out next to the planet's other player-inhabited regions before loading into a realm, this strangely excites me! @Max. True enough - though I thought WoW had age restrictions? It's rated Teen/12+ AFAIK and a lot of children playing Minecraft are under this age. Not sure about the visualising aspect you talk about there though due to the size limit of a world and it would be dependent on how much the players had generated and thus formed. My gut tells me this would be next to impossible to implement on a large scale. @James: Well, it's like parents that buy 18+ rated games for their kids really :P not everyone really follows the guidelines (or at least, in my upbringing my parents were fairly liberal with the age rating on games when buying for me). As for the visualisation aspect, I imagine that the Minecraft Realms service will impose a certain limit on world size, due to the amount of people they're probably hoping to host on the amount of servers they're planning to buy up, maybe I'm horribly wrong but it's what I imagine, in any case!